Travel and Food Notes welcomes back guest blogger Peter Hochstein, author, biographer, journalist and award-winning advertising copywriter. Check out his new autobiographical ebook for more of his inspired, witty and irreverent observations. They say that after a while we begin to regress to childhood. I’m a case in point. As I’ve grown older, my hairline has retreated toward the near-zero state it was in when I was born. To be honest, I’m shrinking, too. I’m an inch shorter than I was at 35. And now even my travel habits are slipping backwards . Until quite recently, a trip to Paris meant I’d been staying in the charmingly fashionable Sixth Arrondissement or the ultra chi-chi Eighth. But due to the current economic situation, I decided to skimp a bit and go back alone to where my love affair with Paris began. 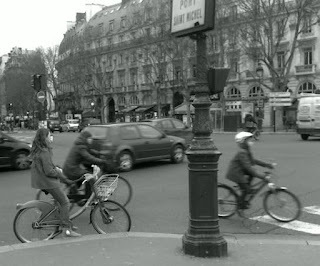 That would be the Fifth Arrondissement, or the Latin Quarter, named for the days when classes at the Sorbonne were taught in Latin. The bible of student travelers in Europe when I was a student was Arthur Frommer’s “Europe on $5 A Day.” One of the cooler places recommended was the Hotel Cluny Sorbonne at 8 Rue Victor Cousin, directly across the street from the Sorbonne. Here, I learned that while you can’t really go home again, you can sort of do it. I actually got my old room back at the Cluny Sorbonne. Well, anyway, half of my old room. Renovations in the 1980s split some of the rooms in two, so more guests could be accommodated. Additionally, every room now has a bathroom. No more toilet down the hall, or paying the equivalent of 50 cents for a shower. But the room rates have been renovated, too. My old room, a double, used to cost roughly $4 a night and was furnished in slightly tired Belle Epoque satins, with red and gold the predominating colors. My renovated half of my former room, ran 101 Euros a night. Unfortunately, that’s what passes for a bargain price these days in Paris and you get what you pay for. The renovated space was spartan, the colors less colorful than my student days, and the bedding, though pristinely clean, was probably well on the low side of any thread count you’ve experienced. The blankets were covered with fuzzy nubbins, presumably from punishing trips to the washing machine. But the room’s view of the Sorbonne hadn't changed at all. Without even unpacking my bags, I grabbed my camera and ran down into the street to record what else had or hadn’t changed. I am happy to report that the urge to post graffiti in the Fifth is proudly unchanged, except for subject matter. While there are still hooligans with magic markers doing just as they do in the United States to post their “tags” in impossibly difficult places, much of the graffiti is clever. Here and there it’s even beautiful, and some of it appears to be pasted-on, like wallpaper, so that eventually it can be taken down. When it’s political, the focus of graffiti in the Fifth sometimes shifts from France to the United States. And, reflecting the new cosmopolitanism of Parisians, a great many of whom now speak excellent English, some of the graffiti are in English, too. How about a fashion statement? 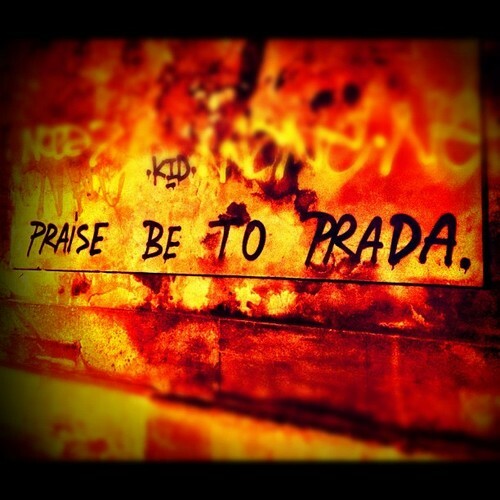 I found a wall scrawl that declared, “Praise be to Prada.” Yes, in English. Possibly sarcastic English. All this walking around in seach of graffiti made me hungry. So in keeping with my budget-minded plans, I used a street map and the kindness of strangers to direct me to Rue Mouffetard, about a 15-minute stroll from Place de la Sorbonne. “Rue Mouff” has become a restaurant row. It’s filled with bistro after touristy bistro, many offering moderately-priced French specialties beloved by visitors – fondues, raclettes, escargots, boeuf bourgignon and steak pommes frites. For considerably more upscale dining in the Fifth, I took some French guests another night to L’Atelier Maitre Albert, one of celebrity chef Guy Savoy’s establishments. This one, at the corner of Rue Maitre Albert and Quai de Montebello, even wowed my French friends. 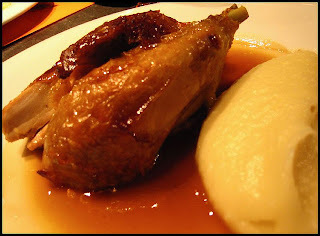 It specializes in rotisseried meats (roasted chicken unlike you’ve ever had before), and while I suppose we could have racked up a king’s ransom there, a three-course prix fixe “seasonal” dinner ran only 35 Euros a head. A luscious bottle of Haut Medoc cost 69 Euros extra, and went perfectly with the meal. In fact, the food was so good that I had to struggle with myself to avoid stepping outside and scrawling praises for the restaurant’s cuisine on its walls. 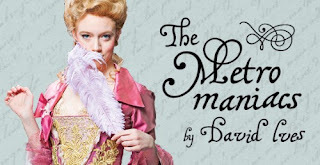 Wow...Very funny article, I enjoyed it. Paris is my second favourite city.I have visited paris twice.